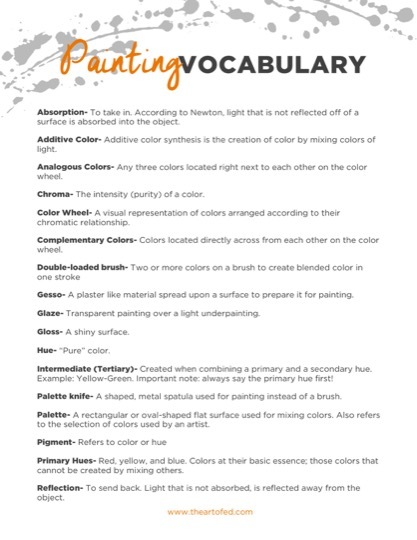 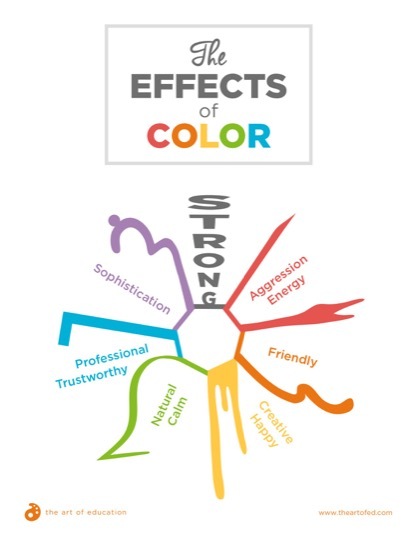 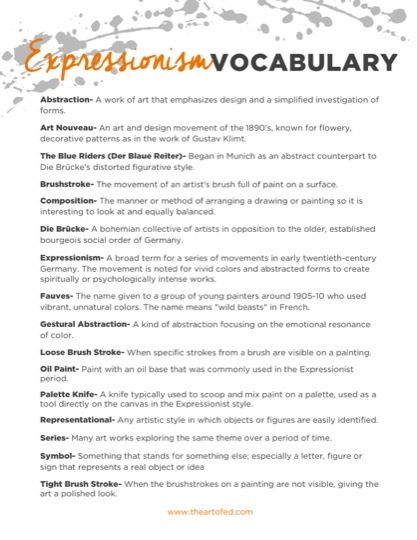 Expressionism is visually and conceptually fascinating, but it can be difficult to introduce to your students. 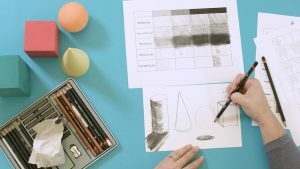 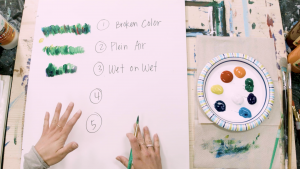 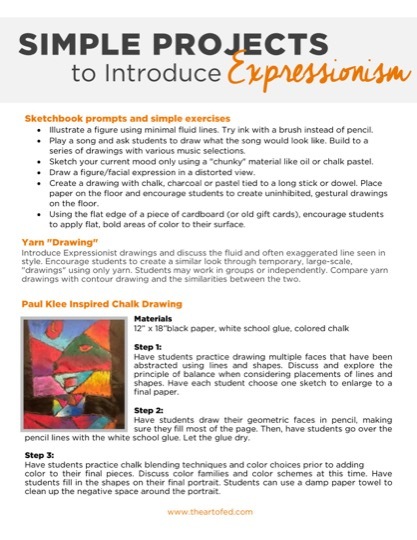 In this Learning Pack, explore a variety of approaches for introducing expressionist artists, vocabulary, media, and techniques. 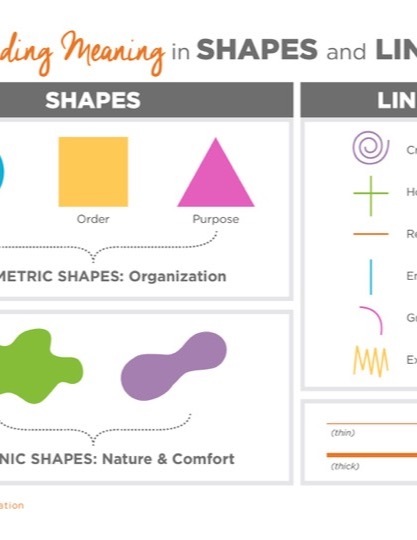 Gain specific ideas for lessons, critiques, assessments, and more. 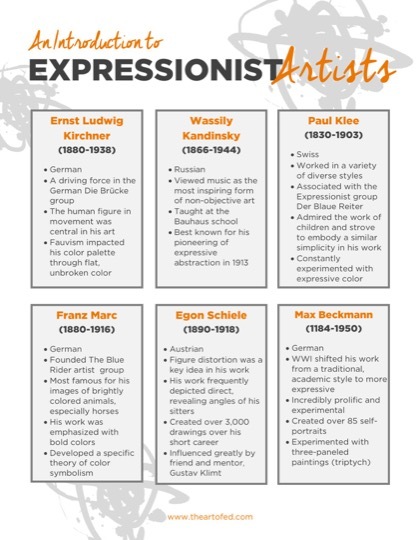 It’s everything you need to teach the ideas of Expressionism in your classroom! 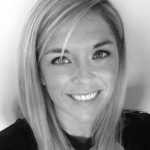 Haley is an Abstract Expressionist painter who received her MFA from the Academy of Art University in San Francisco. 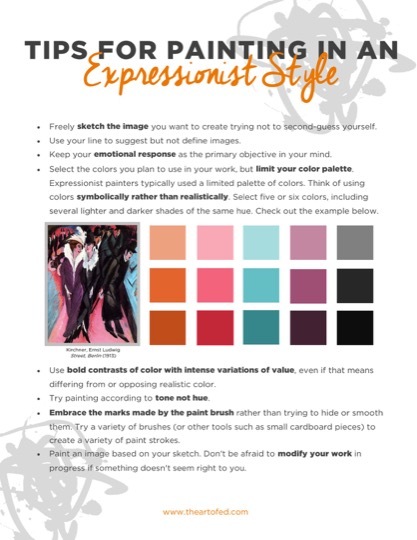 She is a former elementary art teacher and current graduate instructor at the Art of Education who loves sharing her passion through teaching art! 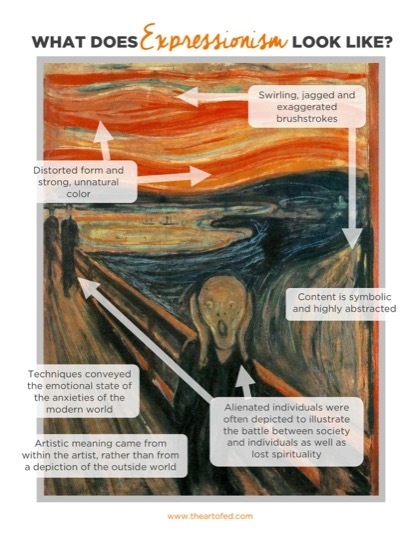 What Does Expressionism Look Like?